Know more about AT-HOME CARE SERVICES and what makes us stand out from our peers. To maintain our clients’ independence to remain at home. AT-HOME CARE SERVICES is a family-owned and operated home care agency situated in West Hartford, Connecticut. We have been serving individuals across Connecticut since our formation in 1998. With over 20 years worth of experience under our belt, we aim to do our part in improving the quality of life for those who are unable to take complete care of themselves. We are a Full-Service agency, not a registry or a referral service. What does this mean? And how does this benefit our clients? Our employees are bonded and insured. We take charge of the payroll and pay all the taxes required by the IRS. We also pay worker’s compensation. Our employees undergo a thorough screening and training process. We closely monitor and supervise our staff as they provide Home Care Services in West Hartford, Connecticut and the nearby areas. We stay in touch with you throughout the case. Director Joel Schlank completed his graduate studies at the University of Connecticut in the field of Long-Term/Geriatric Care Administration. He has over 35 years of experience as a healthcare professional who specializes in providing elder care and hospice services. Joel is an outspoken, published advocate for seniors’ rights and has an active involvement in community service programs. 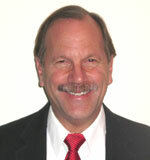 He is also highly regarded for his expertise in Medicare, Medicaid, HMO guidelines, and other healthcare issues.